Not all pools are created equal. Some are all cement, some have liners, some have walk-in entrances, and some have diving boards, but all use chemicals, and I have yet to find one that is beneficial to the environment or local wildlife. 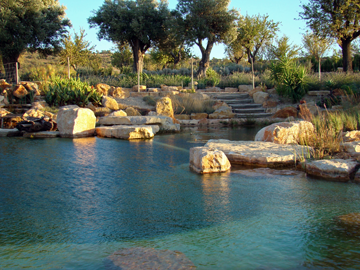 A natural swimming pool (also called swimming ponds or pond pools) is the opposite of a traditional pool. What exactly is a natural swimming pool? A natural pool will use gravel and stone instead of the concrete or a fiberglass body that most pools are constructed with. Natural swimming pools also use aquatic plants instead of the chlorine to filter water, and you may even use the small skimmers and filters you currently use in your ponds. Even better, if you’re a fish lover, you may add some fish (which will help the filtration and ecosystem as a whole and add to the whole experience). Scuba diving anyone? 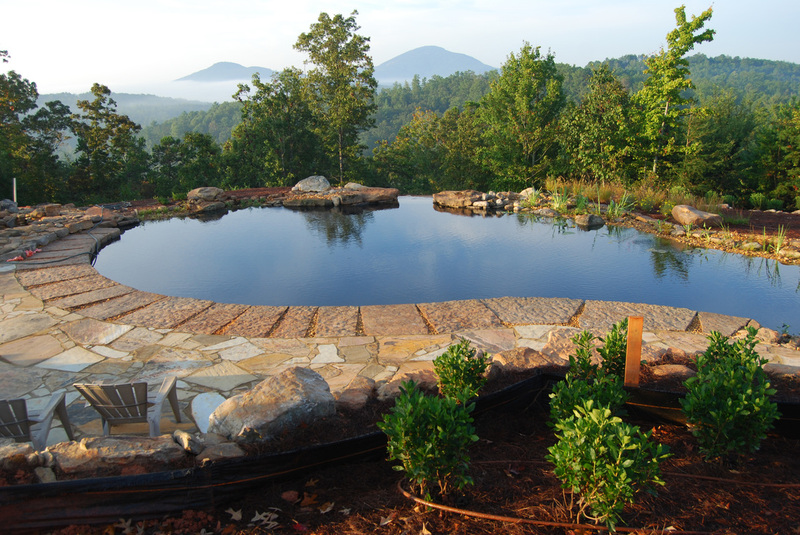 Typically, natural pools only need be filled once, in the beginning, and topped off every now and again. Better yet, you don’t need to drain the pool every year, and you can even ice skate on your pool in winter! A natural pool can be retrofitted for an existing pool, to make it look more natural and to have it blend in with the surroundings. Heating a swimming pool can get expensive, however a natural swimming pool tends to be warmer, you can also install a solar heater/mat if you want to get it extra toasty (ideal swimming temperature is near 85 degrees). The costs of a natural swimming pool to be constructed is nearly the same as a conventional pool (this all depends on how a pool is constructed, materials, what plants are put in, pumps, filters, and any other considerations). However, the maintenance is considerably lower than a conventional pool. For those that already have a pool and want to convert their pool, the cost would also be considerably less than new construction. A natural swimming pool provides all the luxuries of a traditional pool and so many more benefits that a traditional pool does not offer. If you are considering building a pool, need/want a chemical free alternative, or maybe just want to swim with some big koi, consider a natural swimming pool. If you would like more information on converting your pool into a natural swimming pool or building a brand new one, contact us for more information! See you in the water!